After many years of Renovations we have listed below some of the the most frequently asked questions (FAQs) we get asked by our customers. Do we need to have plans drawn up? No, not at all. Any design and drafting is part of our service we offer. But what we invite you to do is use our Renovation For YOU page (Click Here to open in a new Tab) and there you can send us a picture of any drawings you have. What happens if we need council approvals? We will let you know at quoting time. If it is required we will assist you in this matter. Do we need insurance for the renovation(s)? We organise the Compulsory Home Warranty Insurance through QBCC (Queensland Builders Construction Commission.) You should notify your home and contents insurer of the renovations as their fine print may have stipulated that any changes to your dwelling need to be advised. Note: There should always be a change here, as after the Renovation(s) the value of the property should be increased. Are you and all of your trades fully qualified and licensed? Our Project Manager is QBCC licensed. Our license number is 884737. All jobs are insured for your peace of mind and we use only fully qualified trades people. Yes, all of our work has a seven year warranty and all materials carry the manufacturer’s warranty. Why should I choose Renovation Elves for our Renovations? 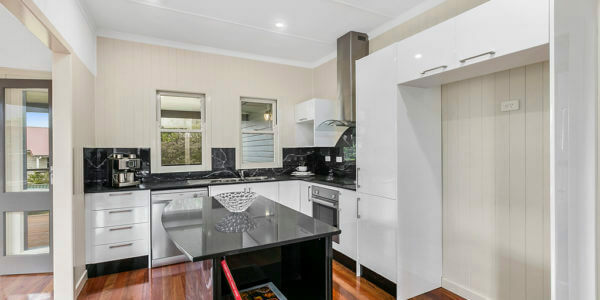 We are fully qualified, licensed and highly experienced trades people who have elected to specialise only in Renovations – We don’t build houses, we just make the old like new (again). See our Testimonials and Gallery for comments and pictures of many happy customers over the years. Customer Testimonials: Nothing is more important to us than having happy customers. Various seasoned customers as well as persons new to the world of Renovations share their thoughts here. Thank you for the professional job you did renovating both our bathrooms. We realised that the downstairs bathroom would be difficult however we are really pleased with the finished job and it is working well. Having been through the renovation process in a previous life, it was something I had no desire to go through ever again. However, when faced with an unusable ensuite, with gritted teeth I was forced to re-visit the process. It was an absolute relief to find Christine and Gerry. They are a great team. They pre-empted any concerns I had, guided me through the process and replied to my queries promptly. I am delighted with the outcome. Apart from the joy of a toilet that actually flushes, the functionality and aesthetics are exactly what I wanted. I have now requested a quote for my main bathroom. I would only do that because I am very happy. I would just like to say that my new kitchen is exactly what I wanted. I would particularly like to thank Gerry for his enthusiasm and caring that everything was exactly right. We initially contacted Chris & Gerry from Renovation Elves to refresh our investment property bathroom, but found that their knowledge to be impeccable that we undertook a full demolish and rebuild. Their work was of very high standard and delivered on time and within budget, resulting in us asking them to re-tile and refresh the Kitchen, polish and stain all the timber floors in the house (including repairing deep malicious scratches and etching that was done by the tenant with a screwdriver) that came up perfect, replace handrails on stairs and repair other misc items around the house. We are so happy with their service, we are already returning to them requesting additional maintenance on our property. We are very happy with the result and would always recommend them, in fact we have had them back to do two more kitchens in other properties. We engaged Renovation Elves to renovate our bathroom, ready for the sale of the property. Renovation Elves were great, they completed the job in record time and within our budget. All done with no hassles. After several 'professionals', and abhorrently out of budget quotes we met with Renovation Elves. Chris & Gerry- what can we say? Life savers, mind readers, genuinely nice people.. they came to our rescue, they met us at our level. They helped with ideas, design, colouring scheme & purchasing. Never once did we feel 'pushed' we only ever felt encouraged. They listened, they asked and they talked to us - not over us and they understood what we needed. 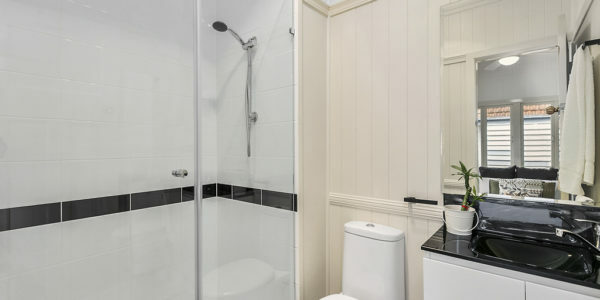 The end result- a very well designed, cost effective bathroom! Thanks guys, we love it! To anyone looking to renovate big, small or light on ideas, we highly recommend Renovation Elves. We are really pleased with our new kitchen. From the outset Renovation Elves were both professional in their approach whilst maintaining a personal empathy with my demands. Inspired by your creative suggestions in the planning stages I am more than happy with the delivery of those ideas. I have no hesitation in recommending your services. I am very happy with my bathroom renovation from Renovation Elves and have no hesitation recommending to others. They managed all the trades and were very organised, documenting everything up front so I knew what I was paying for and what to expect. I would definitely use them again. Christine & Gerry from Renovation Elves installed our kitchens both upstairs and downstairs. 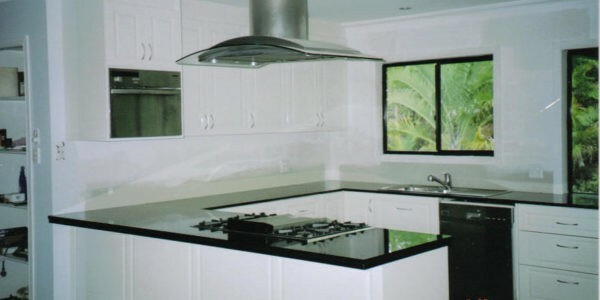 Their workmanship was faultless and we are very happy with our finished kitchens. In addition their service was excellent . They were prompt and reliable and were very accommodating and helpful. Their business acumen is one of honesty, reliability and value for money. It was a pleasure dealing with them and can thoroughly recommend their professional services. We engaged Renovation Elves to renovate our Bathroom. From the start they were very informative and assisted with the design, even suggesting a display shelf option for the defunct hallway linen cupboard. As with any major renovation there were a few hiccups along the way but Gerry was there every day keeping us informed and making sure everything was completed to our satisfaction. The end result was exactly what we were hoping for. We would highly recommend Renovation Elves to anyone considering a bathroom renovation. Thank you for the great job in planning and installing our new kitchen. I am finding the positioning of the cupboards and drawers so much more convenient. We are very happy with our bathroom renovation and highly recommend the Renovation Elves. From first contact they we very responsive, prompt, honest and friendly. Our timeline meant completion was due just before Christmas, which seemed a bit risky, but they coordinated the tradesmen to ensure it remained on schedule. All costs were made clear and any required changes were well communicated. Overall, a high quality but good value renovation that has made a huge difference to our house. I would highly recommend using Christine and Gerry to anyone doing Renovations to their home. Excellent service and great quality product. 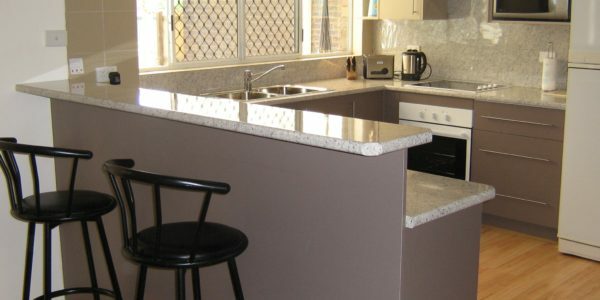 I had my kitchen installed over the Christmas holiday period and they kept me informed over the whole process. Renovation Elves constructed and installed my kitchen. After researching several companies they were the only ones who would build to my specifications. They were competitively priced, efficient and punctual. I am very happy with the result and it functions well. I would gladly recommend them to anyone needing a new kitchen. My daughter has had difficulty in engaging tradesmen to carry out repairs to her property. While attending a party we heard Gerry’s and Chris’s names come up in conversation. My wife suggested we contact The Rawcliffe's and it has turned out one of the smartest things she has done. After considerable time trying to engage tradesmen, the speed in which Chris got rolling was breathtaking. Within days of our conversation, an inspection of the property was carried out (Chris busily taking notes), Chris on the phone engaging the tradesmen (within a matter of hours) and the accommodating nature of the tradesmen, all added up to trouble free repairs to our daughter’s house. I cannot endorse more the professionalism carried out by all parties in completing the task. I love the kitchen, thank you. We would like a quote now for the bathroom, please call us when you have time to come over. Chris and Gerry were wonderful to deal with, they are very fastidious and strive to make you happy. I wish to say thank you again for all that you and Gerry have done. I am very happy with the bathroom and service given. I do not know of anybody going through renovations at this time, but I will always remember the quality of service you delivered and should the opportunity arise I will tell them accordingly. I know my husband feels the same.